Hama beads (also known as Perler beads) are so much fun – have you made anything with them? They are a great craft activity for kids, and I know quite a few crafty mums who enjoy making with them too. I’ve put together 5 ideas on how you can use them this holiday season to decorate your tree, space, table and gifts. Get the children involved, they’ll be thrilled to be able to help and you’ll have lovely garlands and decorations in no time. If you’re unfamiliar with these plastic beads the technique is simple: when you have an idea of design and colours start placing the beads onto the special base. 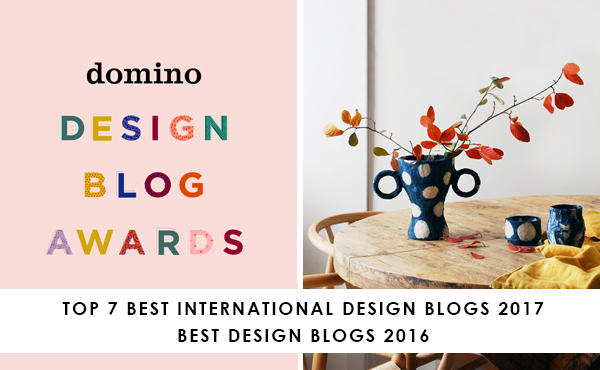 When your design is complete carefully carry it to the ironing board and lay a sheet of baking paper on top. Rub the iron back and forth over the top for about 10 seconds at a time to melt the beads and fuse them together. Be careful not to let the iron touch the plastic base. Allow them to cool before removing the shape from the base. Turn the shape over, place the baking paper on top and iron the back for a few seconds. If the shape starts to curl up as it cools just place a pile of magazines or a heavy book on top. ONE :: Garland. Decide on a colour palette and make at least 7 shapes – odd numbers are always best. Thread a needle with sewing thread and push it through one of the top holes in each shape. Tie the thread to make a hanging loop. Hang the shapes at varying levels along a piece of twine or raffia to form the garland. Click on the link below to see the full post and my other ideas. TWO :: Place cards. Make a star from beads in a colour to match your table setting. Use my free printable template to make a paper geo shape and attach them together with double sided tape. 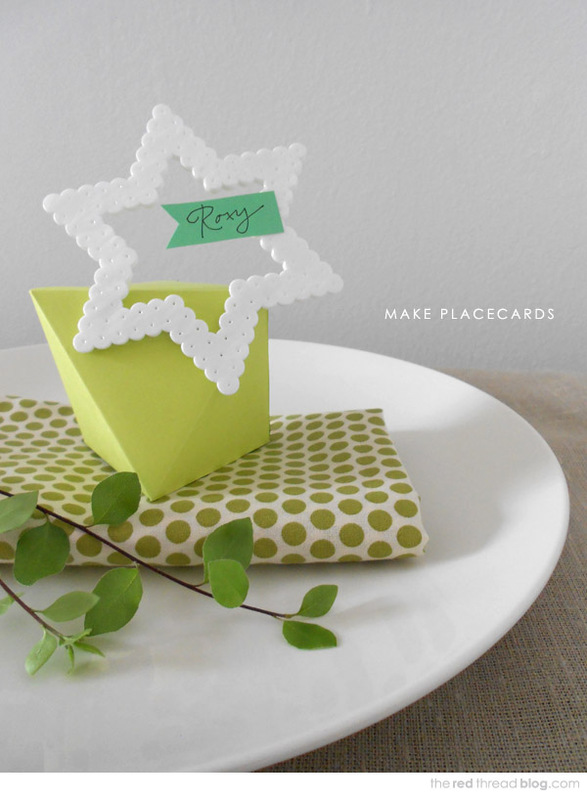 Write the person’s name on coloured card and use double sided tape to attach it to the star. THREE :: Decorations. Tie red raffia around your beaded shapes and hang them from your Christmas tree. FOUR :: Napkin Rings. 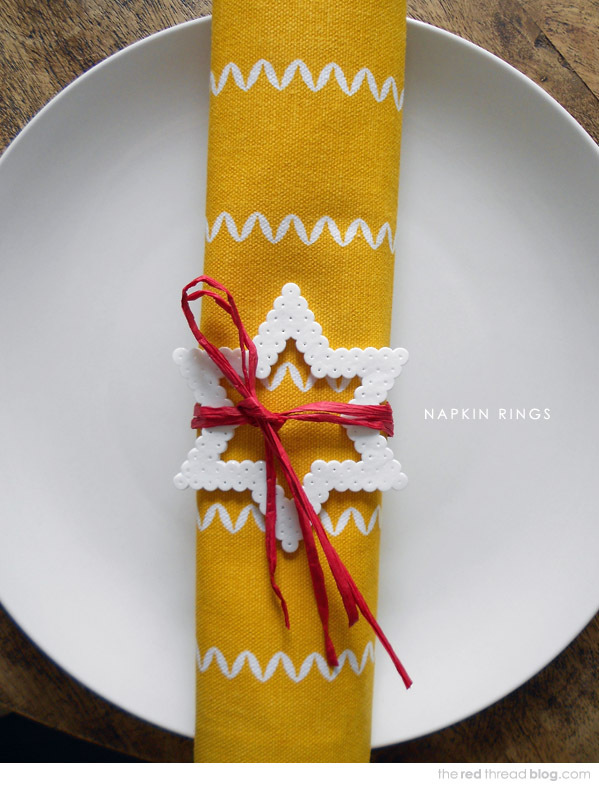 For a simple and effective napkin rings tie beaded stars onto napkins with raffia or ribbon. 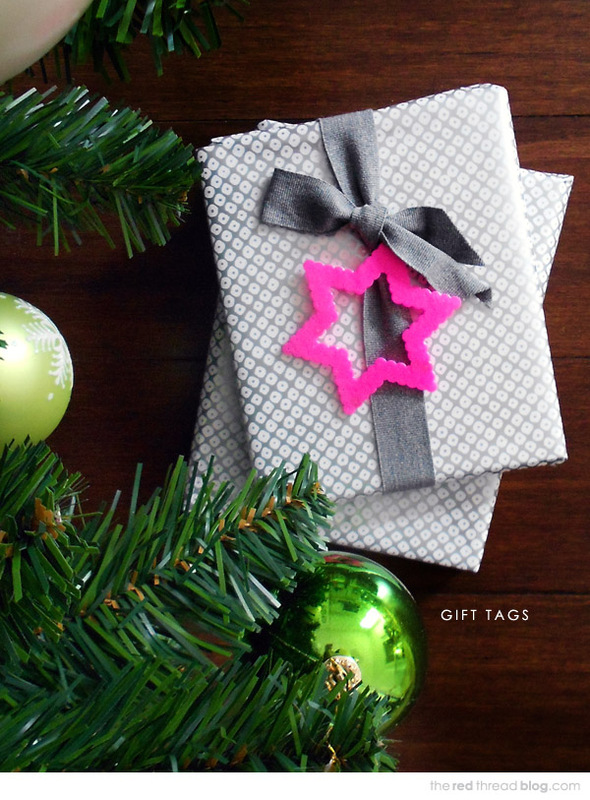 FIVE :: Gift tags. Add some interest to your gift wrapping this year with beaded hearts, stars and circles. 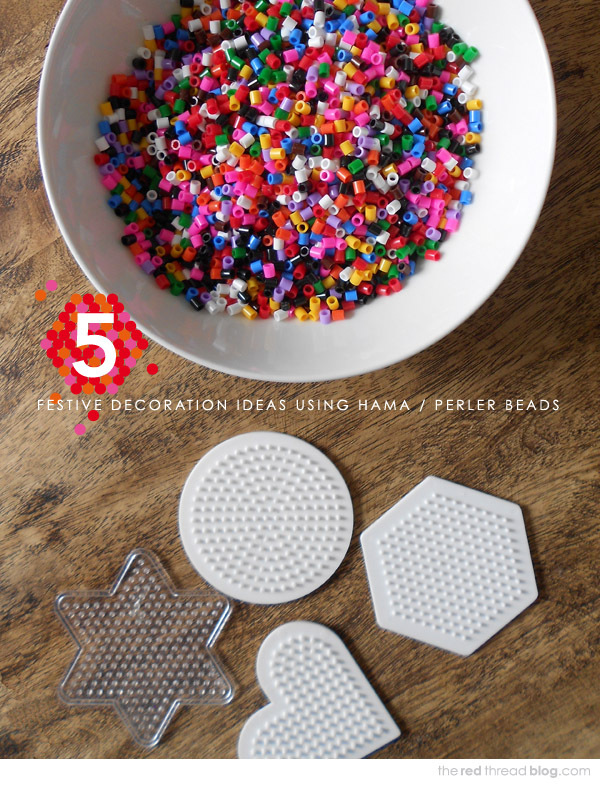 I’m sure you can think of some more ideas on how to use hama / perler beads to decorate this festive season – give it a go. They are easy to use and you can make some really fun and creative things. They are available for craft and toy shops, and you can get big tubs of them at Ikea.